A towering tribute constructed for the most daring of little tike climbers: the Mount McKinley. 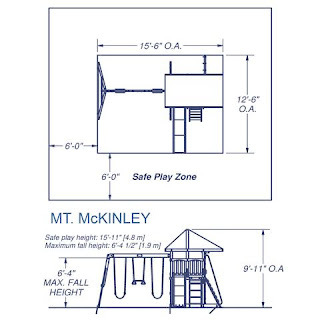 Whether they scale the rock climbing wall, scramble up the step ladder, or pull themselves up the rope ladder, your kids will feel like they reached the highest peaks on the deck of this play set. You don’t need an off-road vehicle to feel like you’re cruising along the Rockies — the open wooden plank structure of the upper outdoor playhouse, along with its bright green tarp roof, telescope and steering wheel, transport every imagination to a mountain range oasis. Taking a quick slide back down from the summit, you’ll store your nature souvenirs in the toy storage box and then finish your adventure on the belt swings or swing trapeze bar. 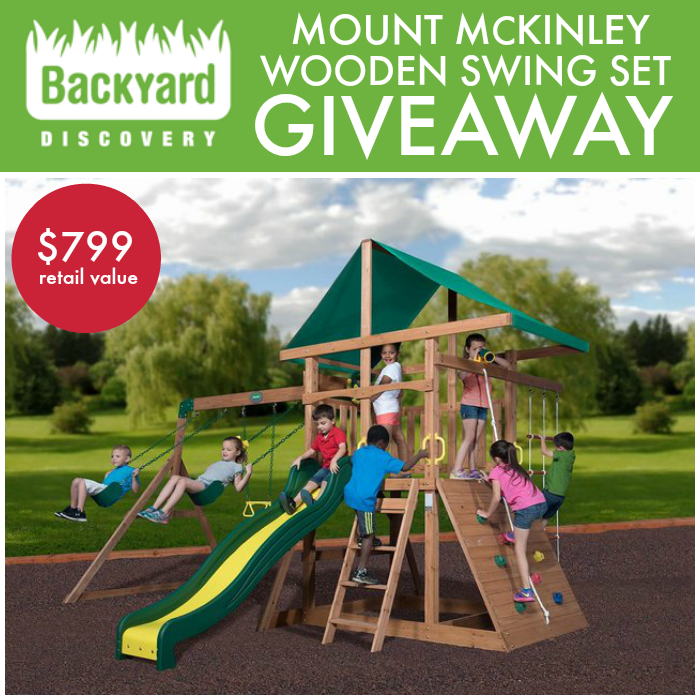 The Mount McKinley is made from 100% cedar. With small, tight knot structure, your lumber will be less likely to develop small cracks emanating from knots.